Fuel from vegetable oil is not a new idea. Rudolph Diesel demonstrated the first diesel engine running on peanut oil. Pongamia oil comes from pressing the seeds of a Pongamia tree, which are about 35% oil. The crude Pongamia oil can be burned, but typically engine manufactures demand the oil is further processed into biodiesel. 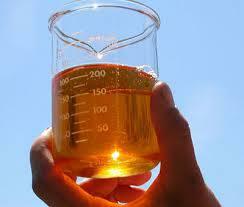 And unlike other biofuels, Pongamia biodiesel has high energy output to the energy input to produce the oil. One study has the energy output ratio of 20 for Pongamia biodiesel. Pongamia biodiesel is a high quality biodiesel with calorific values, cloud points, and flash points favorably comparable to diesel. Green coal is made from biomass compressed into high density and high energy concentrated briquettes. 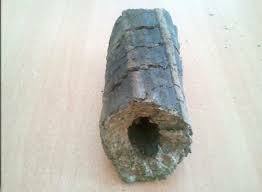 The typical production method for the briquettes results in a calorific value of 4,000 kcal/kg, moisture content of 5%, and sulfur content of 0.05%. Higher practical thermal value and much lower ash content compared to coal. Is easy to store and hygienic to handle. 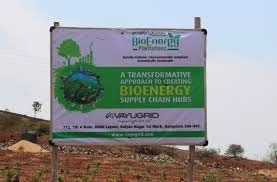 BioEnergy Zone (BEZ) and Green Mine Zone (GMZ) are two solutions offered by VayuGrid around VayuSap™. Transformative solutions, both enable unproductive lands turn into productive assets, while ensuring social inclusion, economic sustainability and environmental gains. 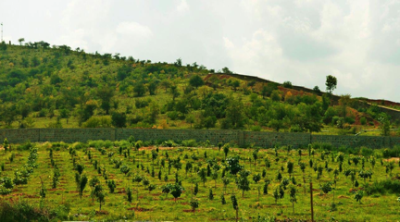 The plantation starts to yield after 36 months, and at peak maturity of 15 years, will generate feedstock to produce biodiesel and green coal annually. The biomass generated from 400 acres will produce 1 Mw of electricity. The nearly 1.5 mn liters of oil from 400 acres and converted to biodiesel will power rural transportation including trucks, buses and tractors. Growth in support services around plantations—such as increased use of farm productivity implements such as tractor and augur-drills, mechanization services for harvesting, post harvest warehousing and storage, transport and other logistics services. Improved soil structure, with surface structure becoming more stable and less prone to erosion. Increased organic matter leading to increased soil water and nutrient holding capacity of soil. Also suppressing disease organisms in soil thus improving crop health and vigour. Improved air quality due to lowered dust, allergens and pathogens in the air. Neighbouring crops performing better in drought conditions due to infiltration and increased water holding capacity of the soil.